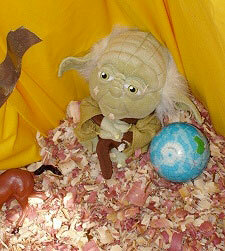 This center has been the cause of happiness for sentient beings for so many years. His Holiness the Dalai Lama has visited, which is unbelievably, unbelievably beneficial. Also, so many other high lamas have been here and planted the seeds of liberation and enlightenment amongst people, young and old, bringing so many sentient beings closer to enlightenment, to be free from the oceans of suffering. More recently, the Dharma programs that have been developed at the center have been extremely beneficial, so important, and will become more and more important. This really is an unbelievably holy place – a very, very holy place, WOW!! Of course, there are problems like personality “crashes”, conflicts, etc., that are like earthquakes, wars of egos, but this is normal because we are sentient beings and have mistaken minds, and therefore mistaken views, and therefore mistaken actions. But still, overall, there is unbelievable, unbelievable benefit. People at the center may only think of the problems, only get caught up in the problems, only concentrate on the problems and not recognize the benefits. Problems are a sign of samsara, and even tenth-level bodhisattvas make mistakes because they haven’t completed the accumulation of merit – so of course our minds have delusions like the earth filled with rocks. Please understand this. We need to remember that we can get rid of the delusions and that doing so can take many lives – it is good to think like this. But of course, if we apply ourselves well, follow correctly the path to enlightenment, then we can achieve enlightenment in this lifetime. Generally, you have to understand like this, you have to have this understanding. If there are mistakes, we should try to remove or prevent them. To do that takes everyone having a sincere, good heart, having bodhichitta in the heart to resolve all difficulties. One shouldn’t have the mind “us and them,” a big separation like that. We are the same family. We are vajra family, and that is closer than blood family. We have the same guru. We have tantric vows and so we shouldn’t criticize each other. Without anger and jealousy, with a sincere heart, we should help each other. Please try as much as possible as it is everyone’s responsibility to resolve any issues. It is most important to reduce our emotional problems and remember the basic qualities like having kindness day and night, rejoicing all the time, practicing patience, having tolerance, having forgiveness (trying always to immediately forgive others) and taking responsibility to apologize immediately. Have courage, the courage to learn Dharma and practice and benefit sentient beings, to free them from suffering, by thinking how our minds are basically pure and unstained by inherent existence and thus have the potential for enlightenment, that enlightenment is possible, and by always thinking about the purpose of our perfect human rebirth. We all depend on others. Our happiness now and in all the future lives depends on others. This is very important to remember. In each second of our perfect human rebirth, we can create incredible merit by keeping bodhichitta in our mind, practicing bodhichitta and thinking how precious each sentient being is, how each sentient being is like a wish-fulfilling gem. Please try to think like this. I want to thank all of you, every single one of you from my heart. I thank you all, please have a good meeting and I hope to see you all soon. Scribe, Ven. Roger Kunsang. Lightly edited by Ven. Holly Ansett. Letter, dated March 4, 2010, to a center before their community meeting. Further edited for inclusion in FPMT News by Michael Jolliffe. Greetings from Tushita where we have Rinpoche and about 130 students doing the Most Secret Hayagriva retreat. It is near the end. In two days there will be a fire puja, then a long life puja for Rinpoche and then on the road again. Recently, I consulted Khadro-la (whom His Holiness the Dalai Lama consults in a manner similar to the Nechung Oracle) on Rinpoche’s health for the next year, something that I do each year at this time. Khadro-la has advised a number of things be done, which have been arranged. One of the things she advised is the recitation of the Golden Light Sutra 65 times. Please, whoever can manage, join us in reciting this very powerful sutra for the sake of Rinpoche’s health and long life, the success of all Rinpoche’s Dharma activities, and for all Rinpoche’s holy wishes to be instantly accomplished. If we do more than 65, then that’s even better! You can download the sutra for free on FPMT’s homepage. Khadro-la said basically that Rinpoche’s health is good … but that certain things still need to be done. With much appreciation and rejoicing for the efforts of friends and students, we are happy to report that more than 100 recitations were accumulated within 10 days of this request going out through FPMT listservs and Facebook pages! Just released, our 2009 Annual Review captures what we have been able to accomplish through our collective efforts in the past year. With much rejoicing, applause and a big thank you – we present you with the 2009 Annual Review! The FPMT Puja Fund is celebrating the sponsorship of over 40 pujas and prayer ceremonies offered over the last twelve months by more than 9000 Sangha members from across more than ten countries. Dharma activities, students, those serving centers and projects, all the benefactors and their families, and for those who have passed away. Drukchuma prayers to Yamantaka (in protector aspect) to eliminate obstacles to one’s activities and to projects of benefit to others. Offered by the 6000 monks of Sera Je and Sera Me Monasteries. Namgyäl Tongchu for the removal of obstacles to a long life. This puja involves making 1,000 sets of the seven offerings (light, water, etc.) to Namgyälma. Offered by the 6000 monks of Sera Je and Sera Me Monasteries. Offerings to the 750 monks and nuns of Kopan Monastery and Nunnery during the annual Monlam festival. Offerings to all of Lama Zopa Rinpoche’s gurus and the Sangha of international Sangha communities in France, Italy, Australia and USA. 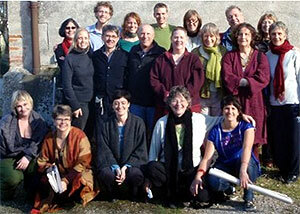 Living in the Path: Module 2, “Taking the Essence,” is now available on the Online Learning Center. After just three weeks of going live with Module 1, “Motivation for Life,” 143 students have registered and several centers are already planning how they will incorporate Living in the Path (LP) into their program. More than 2,400 users have registered for the online Discovering Buddhism modules. If you haven’t already done so, check out the Online Learning Center! Someone is currently working to edit the holy coughs out of the video clips. In a matter of months, the sound quality of all the clips should be perfect. We are happy to be able to offer the first LP module free to all, and to offer free access to all online materials to IMI Sangha. Basic Program: The French edition of the study manual for the fourth chapter of Ornament of Clear Realization has been completed just in time for use by the Basic Programs in Institut Vajra Yogini and Centre Kalachakra. The study manual will be posted on the French BP materials page by the end of the year and after feedback from these programs has been incorporated. New reference materials are available for Basic Program in English. For those studying the fourth chapterof Ornament of Clear Realization, the translation of Gyaltsab Je’s commentary, the root verses and definitions extracted from the study manual are ready for use. For those studying Grounds and Path of Tantra, the oral commentary by Geshe Jampa Gyatso at Istituto Lama Tzong Khapa has been added. Additionally, BP Final Exam: Information and Guidelines for Review has been updated and will be of interest for all centers implementing Basic Program! NEW! Buddhism in a Nutshell Homestudy Program is now available through the Foundation Store. The program features Buddhism in a Nutshell: Essentials for Practice and Study, a 241-page book containing short, edited transcripts of Lama Yeshe, Lama Zopa Rinpoche and Ven. Amy Miller on all the essentials of Tibetan Buddhism from an introduction to the Buddha and the Dharma to an explanation about qualified teachers, emptiness and tantra. The program also comes with an MP3 CD providing 11-hours of Ven. Amy reviewing these topics in greater depth. This program is an excellent resource for new teachers, study groups without teachers and individuals unable to attend a center. COMING VERY SOON! The Liberation Box: Tools for a Fortunate Rebirth. This collection of tools for the time of death has been assembled according to Lama Zopa Rinpoche’s advice, and contains powerful methods for ensuring a fortunate rebirth for those who have died or are in the process of dying. The box has everything you need to assist others at the time of death: Recitations to Alleviate Pain and Recitations for the Time of Death on CD; various mantras for recitation; the Liberation Card for a Dying Person; a Kadampa stupa filled with the four dharmakaya relic mantras; a powa pill and blessing cord to be placed on the dying person’s crown; copies of mantras; and a complete text to be placed on the body, and the book, Heart Practices for Death and Dying. As Saka Dawa is fast approaching and FPMT study groups and centers often make the use of the merit-making opportunity by hosting nyung nä retreats, it is timely to review the precautions in place for limiting risks to the participants and the centers themselves. Llysse Velez, Centre Manager at Tara Institute, Australia, arranged a consent form with the advice of a local medical practitioner. There have been comments that getting participants to sign a consent form is necessary because the general public does not understand the practice, and that we should be aware that we live in litigious times. Depending on your circumstances, you might wish to introduce the use of such a form. Mandala’s April/June 2010 issue, “THE PRECIOUS AND WISH-FULFILLING HOLY OBJECTS OF FPMT” is the fifth in a series of issues dedicated to telling the story of FPMT. 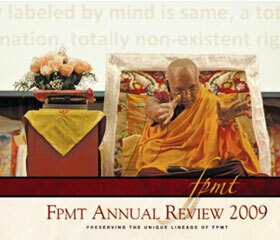 This edition to the series focuses on the holy object activity of FPMT. Filled with photos, stories and history related to FPMT’s work in the area of holy object creation, including extensive information about the Maitreya Project, an initiative to build a 500-foot (152.4-meter) statue of the future Buddha, Maitreya, in Kushinagar, India. Over a dozen exclusive articles have been published online to supplement the print edition. We have updated our website to use WordPress software, greatly expanding the features we can offer the FPMT community. You can now read exclusive online articles, post comments, subscribe to our blogs, find articles more easily with our improved navigation, and more. A particularly exciting new feature is Life on the Road with Lama Zopa Rinpoche, a blog authored by Ven. Roger Kunsang, CEO of FPMT and attendant to Lama Zopa Rinpoche since 1986. Further, we’ll be posting stories and updates to this blog from others who offer service to FPMT by attending to Lama Zopa Rinpoche as he travels around the world. We have new phone numbers at the FPMT International Office in Portland! This is part of a wider changeover to more client-friendly and cost-effective office solutions. Now we have direct lines – and it costs less to make international calls to you! On May 8, 2010, Vajrapani Institute will host Big Love Day to commemorate the selfless activities of Lama Thubten Yeshe and Lama Zopa Rinpoche, and to rejoice in the tremendous goodness that has developed as a result of meeting the Dharma. Lama Zopa Rinpoche has agreed to consecrate Lama Yeshe’s Cremation Stupa on this auspicious day. Special guest speakers and an after-party with dancing will help make this a day to remember! Big Love Day falls in the middle of Lama Zopa Rinpoche’s Great 1000-Arm Chenrezig Initiation and Nyung Nä Commentary. All are invited to participate in this momentous occasion. 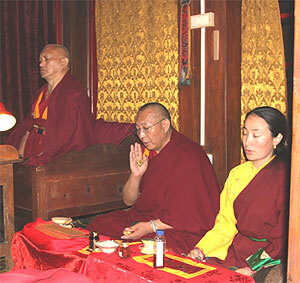 Lama Yeshe’s holy body was cremated at Vajrapani Institute in 1984. 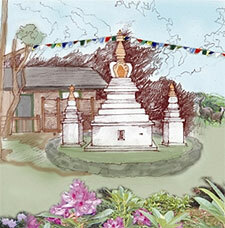 The long-awaited construction of the stupas at his cremation site began last December. To fill the stupas, people from around the world gathered wealth vases, earth from holy land, precious Dharma texts, gems and precious metals, beautiful fabrics, medicine, toy airplanes, pictures of celebrities, and other items (including a Yoda doll!) symbolizing a prosperous, enlightened kingdom. The aim of Essential Education is to empower children, youth and adults to make a positive difference in the world through developing their innate capacity to be kind and wise, and to live in a way that will bring peace and well-being to themselves and the people around them. 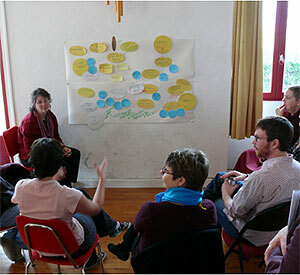 Essential Education’s five-year review and strategic planning meeting was held at Institut Vajra Yogini near Lavaur, France March 24 -28. The aim of the meeting was to reflect on achievements and learning since Essential Education (EE) was established in January 2005; to work on a “learning theory” for Essential Education (which turned into a discussion of its aims, learning principles and methodologies); to build family feeling, and to develop a vision for the next five years of working together to turn the vision of Lama Yeshe for “a new kind of universal education” into reality. The meeting was attended by twenty invited participants from Australia, Austria, Canada, Denmark, France, Italy, Mexico, Spain, UK and the USA. Five participants were invited from Asia but unfortunately could not attend. The mix of experience ranged from students who personally worked with Lama Yeshe more than 30 years ago, to younger people who have been developing EE resources and training over the past few years. One of the outcomes of the meeting will be a paper prepared by Ven. Connie Miller on the aims, learning principles and methodologies of EE. It will form the introduction to the EE Core Curriculum, and will be disseminated throughout the organization. Another result is a set of aims and objectives for 2010-2015, which will be presented to the Board of EE and which, when approved, will guide EE’s activities for the next five years. Applications are open for the position of Center Services Director at the FPMT International Office based in Portland, Oregon, USA. Center Services maintains the flow of communication within the Foundation and supports the organization’s staff in their service to the Spiritual Director and all sentient beings. Acting as a conduit between Lama Zopa Rinpoche’s personal office and the wider community of FPMT groups and individuals, Center Services helps to draw together shared experiences to shape guidelines and initiatives as the FPMT progresses. This is an inspiring and spiritually rewarding job supported by like-minded and dedicated colleagues in the office and wider community. It is a fully salaried position with standard benefits such as an excellent health plan and retirement plan. Candidates must be able to work in the United States (as due to tight regulations, the FPMT regrettably cannot support visa applications). The position has to be filled as soon as possible. Application closes April 26, 2010. Please address your correspondence with supporting résumé to Doris Low, Center Services Director. None to report this month!